Fez is often overlooked. 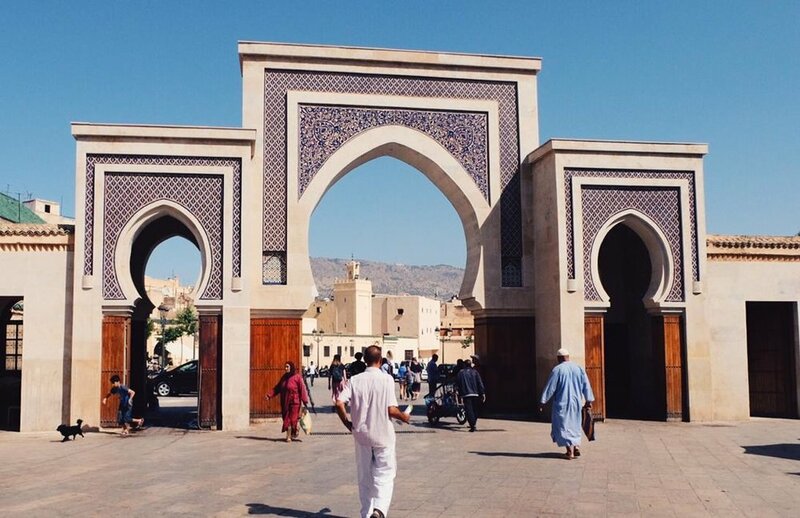 Despite it being Morocco's former capital and its oldest imperial city dating back to the 9th Century, many tourists heading to Morocco looking for a whiff of exoticism only ever seem to get as far as Marrakech. But if you are interested in a more traditional and authentic Moroccan experience, then you really should head to Fez. Which is what Julian and I did on our recent trip to Morocco; flying into Casablanca (direct from Manchester) and taking the train to Fez.